We know places like New York City, Miami and LA are on your bucket list. Hell, they’re on ours. But remember that America is a HUGE place (one of five countries bigger than Australia #funfact) and it has heaps of non-touristy places that are 100% worth your time. Aussies get a three-month tourist visa to the States. So after getting shoved around a crowded Times Square while people dressed as Elmo try to take pics with you, check out these 10 off-the-grid places to visit in America. Adventure is out there, people. This small, historic town in America sits right outside Yellowstone National Park. It’s the kind of place where residents ride horses instead of cars to get to work. (Not really, but you get the point.) Unless you want to freeze your nips off, it’s best to visit Cody during the summer months. Be sure to attend a professional rodeo with bronc riding, calf roping, barrel racing (???) and bull riding. Then go on a wild Mustang tour, visit the Old Trail Town (Wild West buildings) and ooooh and ahhh over the Buffalo Bill Dam (Cody’s claim to fame). This is 'back of beyond' America. Zen the f*ck out in Sedona, Arizona. This is THE place to go if you want to tap into your spirituality and step wayyyyy off the map. 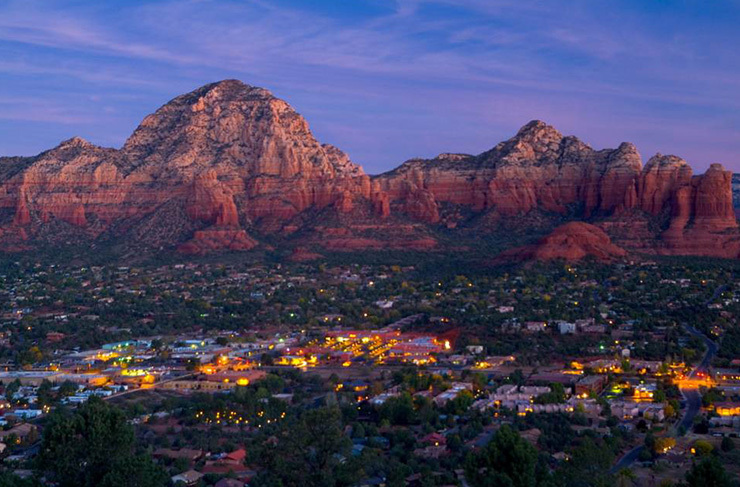 Sedona is home to vortex sights, which are cosmic forces that emanate from the earth. These swirling centres of energy contribute to healing, meditation and self-exploration (aka aligns your chakras). Other than literally connecting with Mother Earth, you can go on hikes in the red rocks, buy energizing crystals and twist your body like a pretzel at a yoga class in Sedona. Ugh, this is the kind of rejuvenating experience we need in our life. Slab City, aka The Slabs, is known as “the last free place in America”. Its residents are extreme hippies who live in RVs in the middle of the California desert. It’s like Burning Man, but year-round with no governing force, no electricity, no public bathrooms and no running water. Uh yeah, we’re serious. Its main attraction is Salvation Mountain—an art installation made from mud bricks and straw (classy). They also have a library, golf course and music stage… so it’s not like, completely desolate. While we wouldn’t spend too much time here, it’s definitely a different side of America that’s worth checking out. Jump in a hot air balloon and fly over Albuquerque, New Mexico. (Yep, this is the setting for Breaking Bad.) This colourful, Southwest city is filled with Spanish culture, the Sandia Mountains and the International Balloon Fiesta (which should one hundo per cent be on your bucket list). Make sure to eat something with green chile on it while in Albuquerque. They have something called a Green Chile Cheeseburger Trail and why we don’t have this in Australia?! Yeee-Haw! Bandera, aka the Cowboy Capital of the World, is a tiny town, smack dab in the middle of Texas. So what’s there to do in a town with a total population of under 900 peeps? Stay at a dude ranch, of course. Before you start making all types of assumptions about what a dude ranch is, we’ll cut the fantasy short and let you know that it’s just the Wild West’s version of an AirBnB (cowboys, cows and horses included). 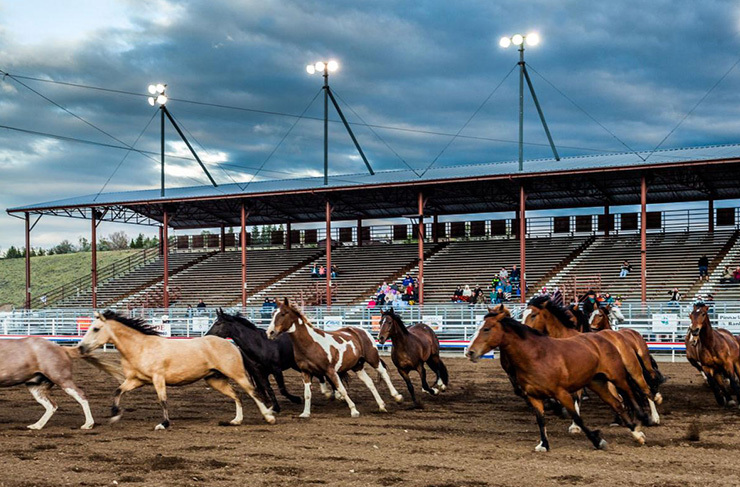 You’ll get to experience what it’s like to live on a ranch and ride a horse (not a cowboy). So saddle up and head to Texas. The Apostle Islands are kind of a mind-boggle because it’s made up of 21 islands in Lake Superior off the coast of Wisconsin (a state that borders Canada) *shrug*. Think of it as 21 Phillip Islands, minus the koalas. 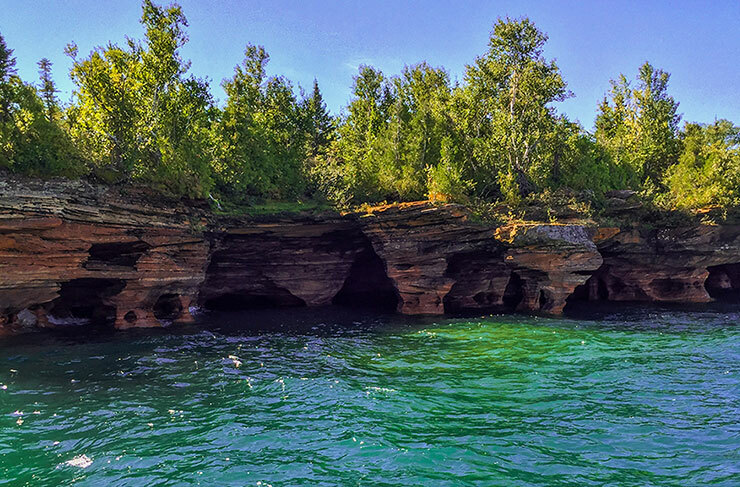 Hop in a kayak and explore sea caves (that turn into ice caves during the winter, brrrr), chill out on the beach or spot a resident bald eagle on a scenic hike. This is pure America. 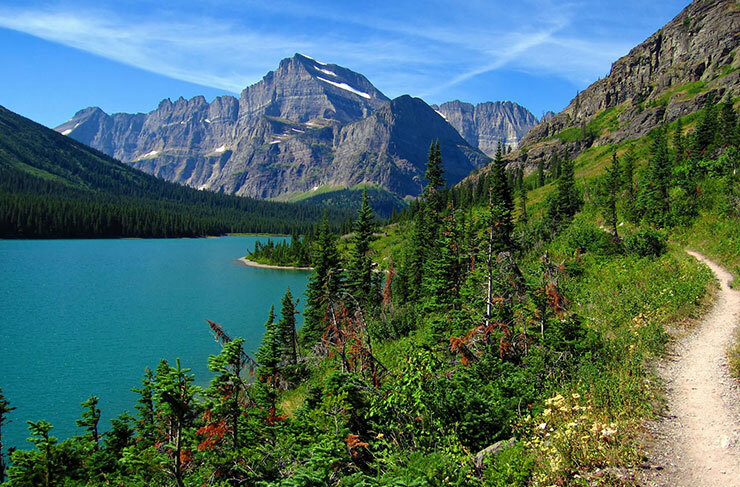 Pack a tent, a sleeping bag, a camera and your warmest jumper for Glacier National Park. This has got to be one of the most Insta-worthy destinations in America. Think teal blue alpine lakes, snow-capped mountains and camping under the stars. Whether you’re into biking, hiking, boating or fishing, Glacier National Park is your playground (and Insta-muse). Heads up, you probz won’t have cell phone service here, so try not to get mauled by a bear #merica. Fayetteville is a small town with big attractions. It’s seriously an outdoor adventurer's dream. Stay in a boutique bed and breakfast, then go white water rafting down New River Gorge, use your strength while rock climbing or walk a bridge that’s suspended 876 feet above the river (don’t look down). Pro tip: Check out Fayetteville during the Autumn months to experience everything pumpkin spice and burnt orange leaves. That’s classic America. Cameras out, this one’s #fortheInsta. 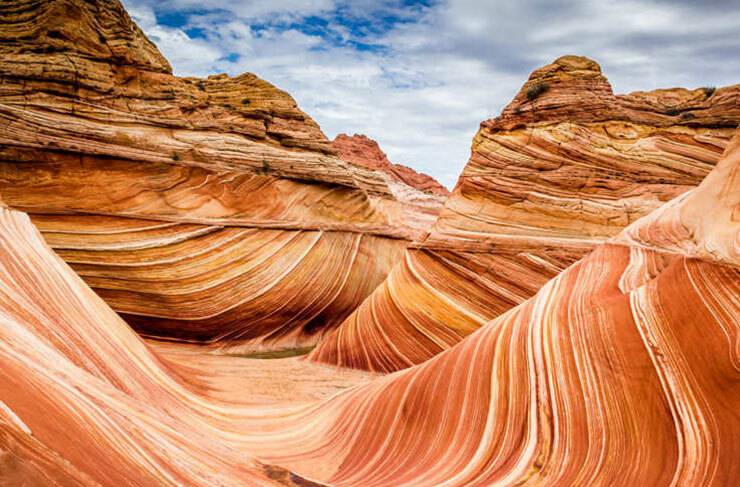 You’ve probably seen The Wave on Instagram—it’s a bunch of multicoloured, eroded rock formations located in a place called Coyote Buttes on the Utah-Arizona border. Not gonna lie, it’s a mission to actually get there and even see it. The land is considered so fragile that only 20 hikers are allowed to visit each day. Plus, you need to apply for a permit beforehand. Sheesh. But we suppose something this jaw-droppingly beautiful can’t be missed. So plan for this adventure wayyyyyy in advance and upgrade your camera. This is worth it. You’re gonna want to rent a van and make this a week-long road trip. 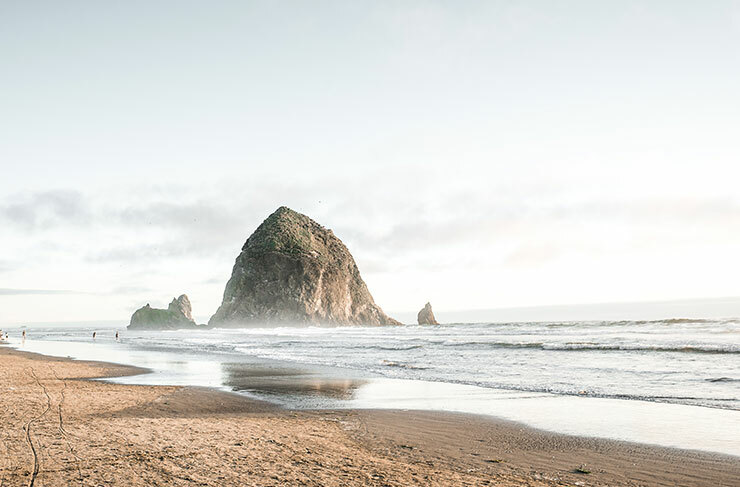 While driving along Highway 101, be sure to stop at Cannon Beach for surfing, munch on a cinnamon roll the size of your head at Camp 18, go ATV riding through Oregon Dunes National Rec Area and for the love of God, please bring us back cheese from Tillamook Cheese Factory. Think of this as America’s version of the Great Ocean Road…more sea lions fewer wallabies. Can't afford an overseas getaway? No worries. We've got 18 free things that you can do right here in Melbourne this month.